The quality of the air we breathe affects our health and our environment. Even though the impact of poor air quality in Europe is not always visible, air pollution can damage plants, trigger respiratory diseases and result in a shorter life expectancy for humans. We are all affected by air pollution. What does air pollution mean to you? Has air pollution had an impact on your life? Do you have a story to tell about air quality? 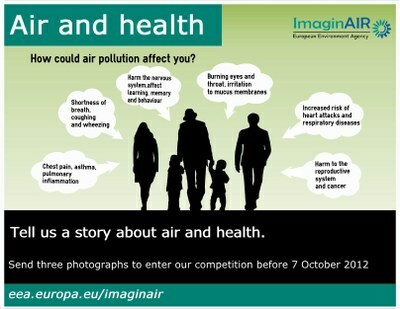 The European Environment Agency (EEA) is excited to announce its new photo story competition ImaginAIR, giving you a chance to show the impact of air quality and pollution in your part of Europe. The public vote closed on 14 November. HERE ARE THE WINNERS. Competition winners will receive a cash prize and might have their entries featured in EEA publications including Signals 2013 - an EEA publication that will be distributed across Europe. Finalists will also have their photo stories featured on the EEA's website and promoted through the EEA's institutional partners. Please note that the submission deadline was extended to 14 October 2012, 23.59 CET. Air and human health: Air pollution is a major environmental risk to human health. Detrimental health impacts can include harm to the respiratory system (including asthma and coughing), harm to the cardiovascular system (including increased risks of heart attacks), harm to the nervous system (including memory and learning impacts), harm to the reproductive system and cancer. Air and nature: Air pollution can damage crops and other vegetation by impairing growth and reducing the ability of plants to take up carbon dioxide from the atmosphere. Acidification of soils and freshwater through air pollution can also cause disturbances in the ecosystems with harmful ecological effects, including biodiversity loss and changes in species diversity. Air and cities: Air pollution is typically more concentrated in cities due to the increased density of road transport, commercial activities, households and energy use – all of which contribute significantly to the emission of substances that are damaging to human health and the environment within and outside the city borders. Air and technology: Since the Industrial Revolution in the 1800s, technological progress has created machines and production lines that have been source of pollution – water, air, soil. But today technology also offers us solutions not only to measure air quality more effectively but also to find innovative ways to reduce the impact of our consumption and production patterns on the environment. 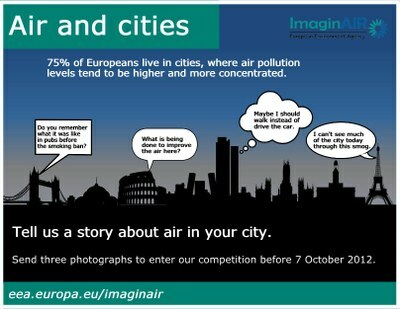 Entrants are requested to send three images and an accompanying text to explain their story of air. All pictures need to be in jpeg format. To enable the images to be of printable quality should the submission reach the final stage, the images will need to have a minimum size of 2000 pixels on the long side. The accompanying text can be in any of the EEA languages, but an English translation will also need to be submitted for non-English entries. The length of the text in English should not be more than 1000 characters (including spaces), and we urge you use a similar length for your text in other languages. Entries can be submitted through an online form or email. More detailed information on how to submit will be provided when submissions open on 24 September. The ImaginAIR is open to citizens of the 32 EEA member countries and 7 West Balkan cooperating countries. Please note that participants must be 18 or older. A 500 euro prize will be awarded to the winner of each photo story category. An additional 500 euro Youth Prize will be awarded to the winning photo story entry from persons aged between 18 and 24 (born in calendar years 1994-1988, both included) in any of the above-mentioned categories. All the finalists will be put forward for the People's Choice Award and may also feature in future digital and print material from the EEA and its European partners. The EEA will appoint a pre-selection committee consisting of communication and environment experts whose role is to ensure that submissions meet the rules outlined in the Competition Rules. The pre-selection committee will select a maximum of 10 finalists for each cash prize category, which will be submitted to the jury. An external jury of environmental communication experts from across Europe will determine a winner for each category. When determining the winning photo stories, judges will consider the relevance to the competition theme, creativity expressed, originality, photographic ability and persuasiveness of the story being illustrated. For the Public's Choice Award, the photo stories from the finalists put forward by the pre-selection committee will be open for a public vote between 29 October and 14 November. Selection will be made on the basis of the number of votes expressed through 'likes' received on the EEA platform. In the event that two entries have the same number of votes, the EEA pre-selection committee will have the final decision. 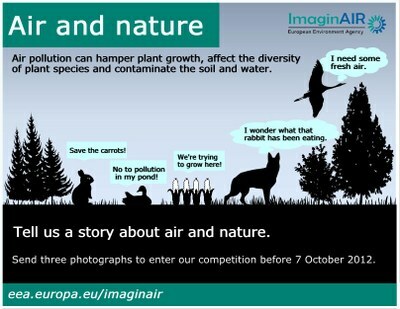 Europe's air story told in pictures Air is a tricky subject to photograph, but this challenge has proved to be a source of inspiration for the winners of photo storycompetition ‘ImaginAIR’, organised by the European Environment Agency (EEA). 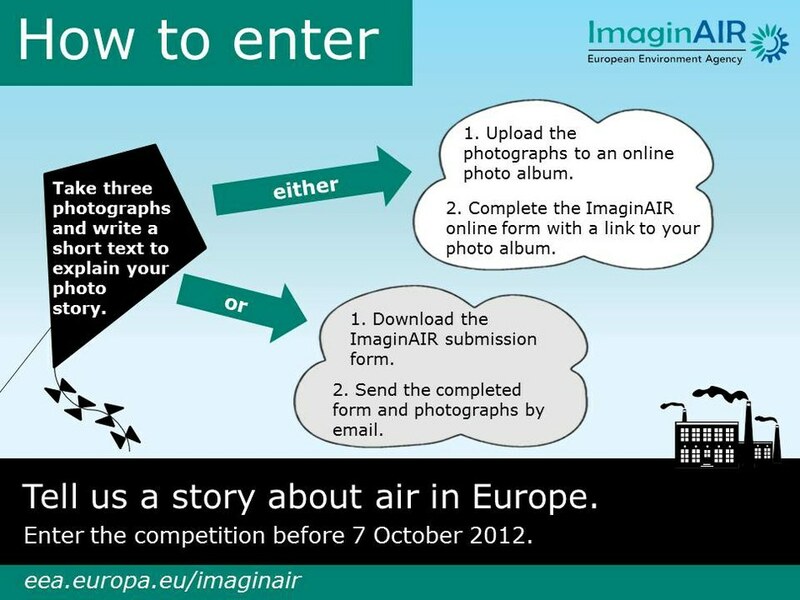 Terms and Conditions for the ImaginAIR Contest The rules listed below form the terms and conditions of the contest. Please note that by submitting an entry (electronically), you are deemed to have agreed to and accepted these rules. 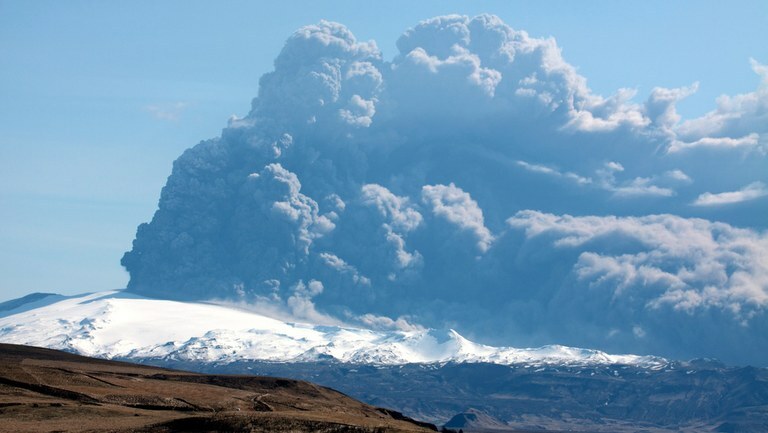 This contest is administered by the European Environment Agency (EEA). Specific privacy statement The personal data you provide in the ImaginAIR submission form is processed in accordance with regulation (EC) No 45/2001 of the European Parliament and of the Council of 18 December 2000 on the protection of individuals with regard to the processing of personal data by the Community institutions and bodies and on the free movement of such data. 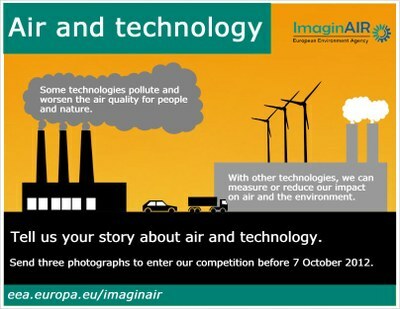 For references, please go to https://www.eea.europa.eu/about-us/competitions/imaginair/photo-competition-2012 or scan the QR code.